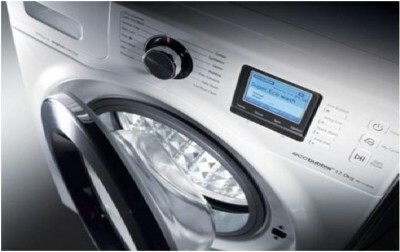 The modern women loves the technology, such technology which should solve their all the tasks in just one button.Samsung’s Eco Bubble washing machine is one of those smart solutions that address the demands of professional women and stay-at-home mothers, making laundry almost a delightful chore. Women can sit back and relax while Eco Bubble efficiently solves their laundry problems such as poor cleaning results, limited soil and stain removal, powder or soap residue on clothes, and fabric damage.“Juggling multiple roles is a fact of life for most women today. Samsung understands women need solutions that save them time and energy, which is why we strive to continue to provide innovative home appliances that deliver efficient, smart solutions,” said Mr. Kwon Jae Hoon, Managing Director of Samsung Malaysia Electronics Sdn. Bhd. “As a global leader in consumer electronics, Samsung continues to introduce new home appliances based on our proprietary technology, always embracing an in-depth understanding of the consumer’s changing lifestyle,” added Kwon. 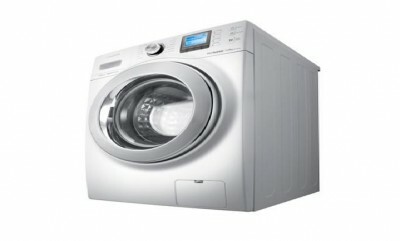 Women can rest assured Eco Bubble delivers a great wash and, at the same time helps save energy. Lina Teoh, local celebrity and documentary filmmaker uses the Eco Bubble and appreciates how it makes her life easier. Lina said that everything which she does, including film making, laundry, acting, and laundry have no exceptions, but now Samsung eco-friendly Bubble saves 70 percent of her energy and cares for the clothes. It’s the technology that creates the magic. Samsung’s Eco Bubble is equipped with a bubble generator that dissolves detergent into water and injects a combination of water, detergent and air to produce a bubble foam cushion that appears in the drum seconds after the normal cycle starts. This foam dissolves into the wash water, distributes evenly into fabrics and penetrates deeper into clothes up to 40 times faster than conventional washers. The outcome is a clean, efficient wash, with clothes free of powder or soap residue. Eco Bubble achieves the same performance results with cold water that other machines would with water at 40 degrees Celsius. This enables up to 70% savings on energy. Users can clean delicate fabric, such as silk and wool without having to worry about damage to fabric, because the bubble cushion protects clothes.Additionally, the unique Diamond Drum reduces the risk of fabric damage by preventing fabric from getting snagged, and by creating water pockets that reduce friction. Samsung recently launched a series of smart consumer solutions available to the growing number of increasingly sophisticated consumers in Malaysia, including the Eco Bubble family of washing machines.